This venue is in the CBD and is easily accessible by car or public transport. The Polly Woodside is an amazing example of a late nineteenth century barque rigged, iron-hulled, ocean-going trading ship. Panoramic views across the Yarr,a river, centrally located,large outdoor area for family days and larger events, luscious grass areas for daytime events. 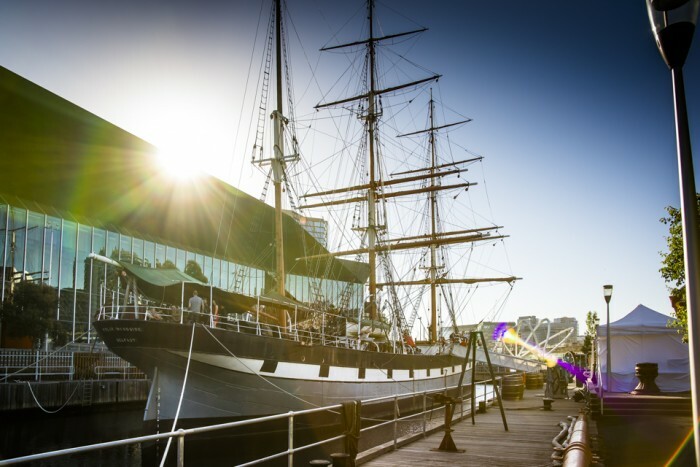 The Polly Woodside is in a fantastic central location and is surrounded by views of the city buildings and the Yarra River. The outdoor areas make it the perfect venue for many event options. Let your creativity loose for your next wedding, conference, cocktail party, birthday or reception.